Further, SonicWALL firewalls provide complete protection by performing full decryption and inspection of TLS/ SSL and SSH encrypted connections regardless of port or protocol. The firewall looks deep inside every packet (the header and data) searching for protocol non-compliance, threats, zerodays, intrusions, and even defined criteria. The deep packet inspection engine detects and prevents hidden attacks that leverage cryptography, blocks encrypted malware downloads, ceases the spread of infections, and thwarts command and control (C&map;C) communications and data exfiltration. Inclusion and exclusion rules allow total control to customize which traffic is subjected to decryption and inspection based on specific organizational compliance and/or legal requirements. REST APIs Allows the firewall to receive and leverage any and all proprietary, original equipment manufacturer and third-party intelligence feeds to combat advanced threats such as zero-day, malicious insider, compromised credentials, ransomware and advanced persistent threats. 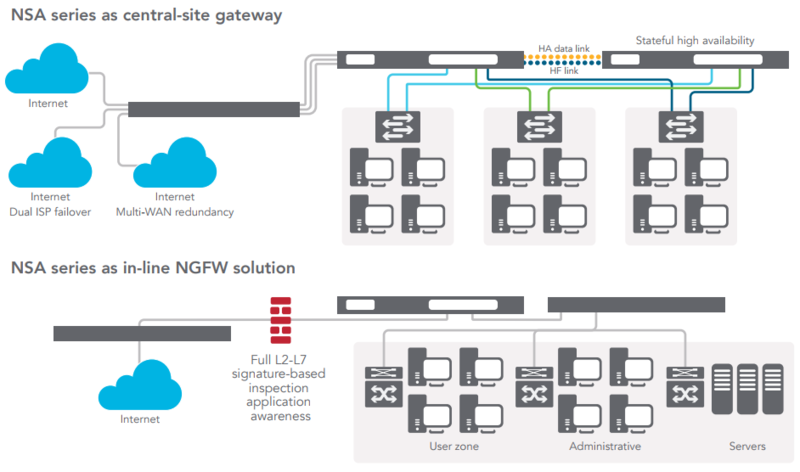 High availability/clustering The NSA series supports Active/Passive (A/P) with state synchronization, Active/Active (A/A) DPI and Active/Active clustering high availability modes. Active/Active DPI offloads the deep packet inspection load to cores on the passive appliance to boost throughput. Flexible deployment options The NSA series can be deployed in traditional NAT, Layer 2 bridge, wire and network tap modes. 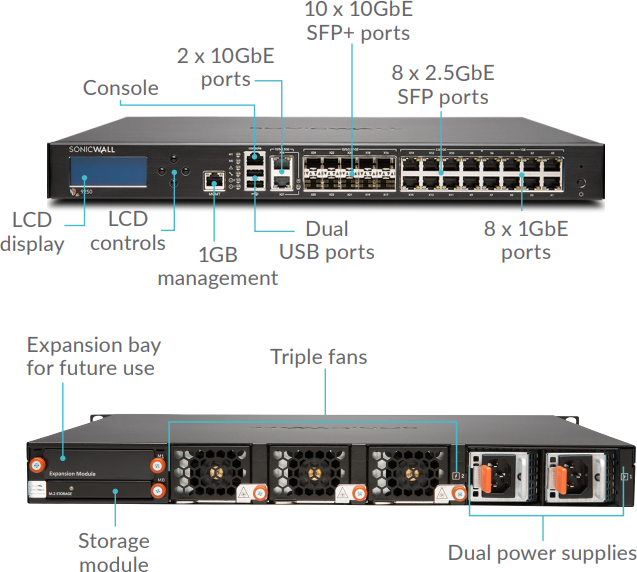 Single and cascaded Dell N-Series and X-Series switch management Manage security settings of additional ports, including Portshield, HA, PoE and PoE+, under a single pane of glass using the firewall management dashboard for Dell's N-Series and X-Series network switch. IPFIX/NetFlow application flow reporting Exports application traffic analytics and usage data through IPFIX or NetFlow protocols for real-time and historical monitoring and reporting with tools such as SonicWALL Scrutinizer or other tools that support IPFIX and NetFlow with extensions. TLS/SSL decryption and inspection Decrypts and inspects TLS/SSL encrypted traffic on the fly, without proxying, for malware, intrusions and data leakage, and applies application, URL and content control policies in order to protect against threats hidden in encrypted traffic. Included with security subscriptions for all NSA series models. If data coming into the network is found to contain previously-unseen malicious code, SonicWALL's dedicated, in-house Capture Labs threat research team develops signatures that are stored in the Capture Cloud Platform database and deployed to customer firewalls for up-to-date protection. New updates take effect immediately without reboots or interruptions. 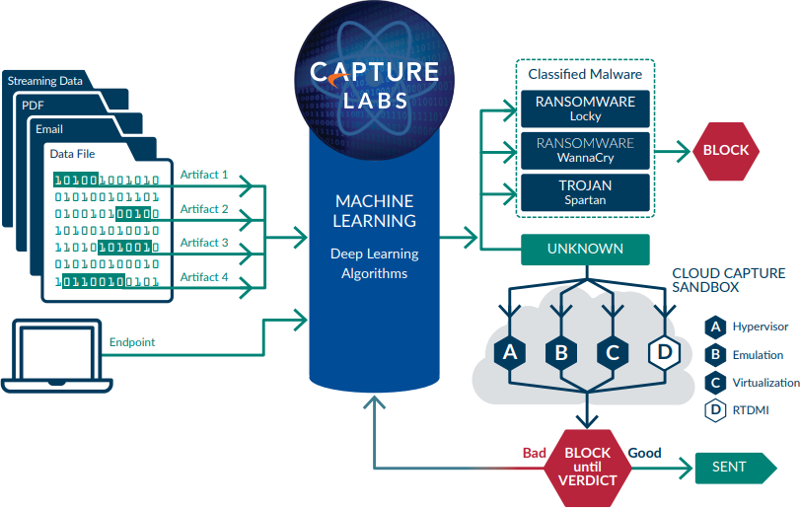 The signatures resident on the appliance protect against wide classes of attacks, covering tens of thousands of individual threats with a single signature. 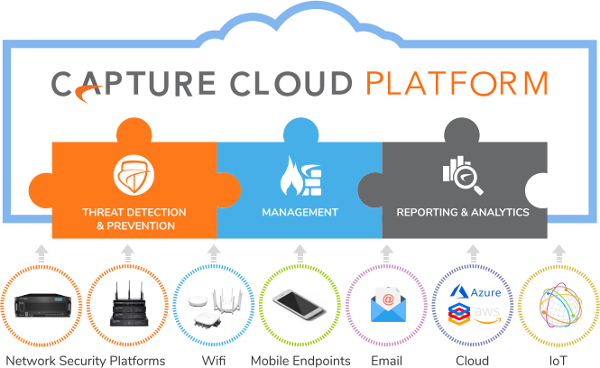 In addition to the countermeasures on the appliance, NSA firewalls also have continuous access to the Capture Cloud Platform database which extends the onboard signature intelligence with tens of millions of signatures. 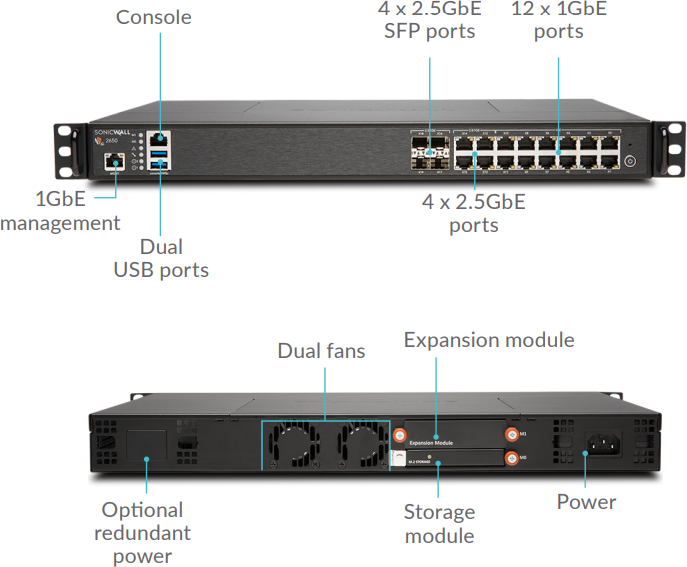 The SonicWALL NSA 3650 is ideal for branch office and smallto medium-sized corporate environments concerned about throughput capacity and performance. 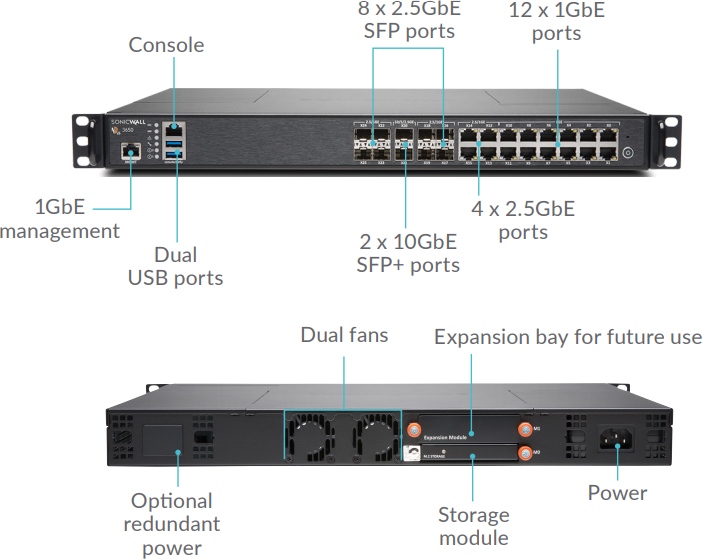 The SonicWALL NSA 4650 secures growing medium-sized organizations and branch office locations with enterprise-class features and uncompromising performance. 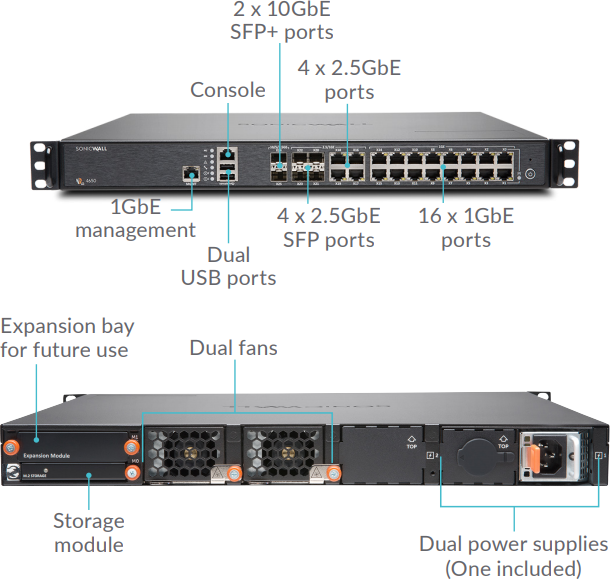 The SonicWALL NSA 5650 is ideal for distributed, branch office and corporate environments needing significant throughput and high port density. 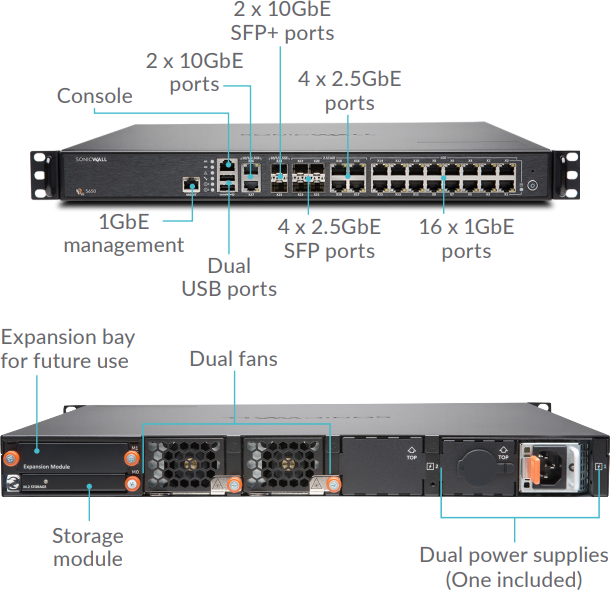 The SonicWALL NSA 6650 is ideal for large distributed and corporate central site sites requiring high throughput capacity and performance. 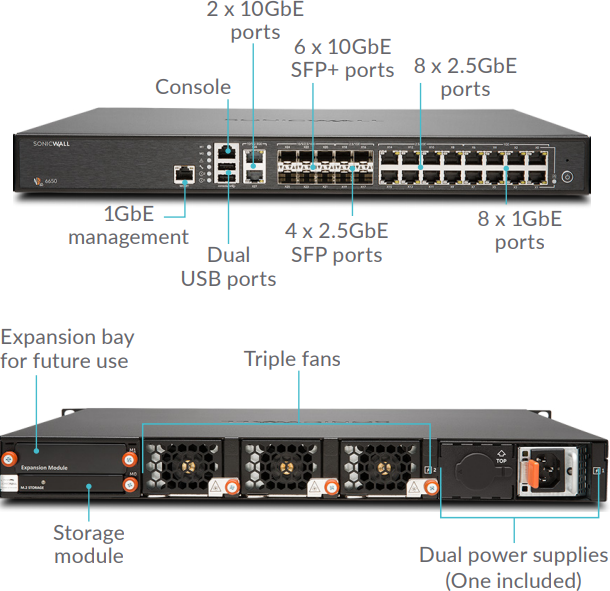 The SonicWall NSA 9250/9450/9650 provide distributed enterprises and data centers with scalable, deep security at multi-gigabit speeds. License converts HA Unit to Standalone Unit. Includes Gateway Anti-Malware, Intrusion Prevention and Application Control.